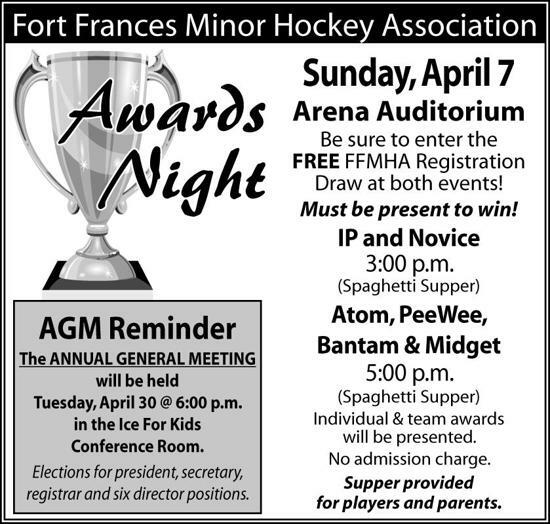 FFMHA is currently seeking nominations for two prestigious awards to be presented at our annual banquet. Please read below and submit nominations to ffmhawebmaster@outlook.com by March 3/2019. On Saturday January 19th 2019 we ran a 50/50 Raffle during the 2nd day of our Atom A Tournament at the Memorial Sports Centre Ice for Kids Rink in Fort Frances. The prize pot for that day was $222.50. The draw was done at 2:10pm with the winning ticket number drawn being 672003. The prize remains unclaimed. If you have the winning ticket, please contact Travis Enge, Treasurer FFMHA, at 807-276-4733 or treasurer.ffmha@outlook.com. The prize pot will be kept available to be claimed for 30 calendar days from the date of the draw. If it is still unclaimed at that time, the proceeds will go to the Fort Frances Minor Hockey Association to help pay for our ice expenses. 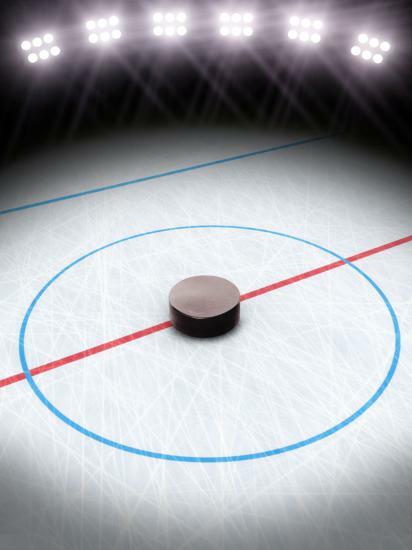 Please find below a great link to a Hockey Canada document entitled "Hockey 101". In this document you will find helpful information about equipment requirements, basic rules and respect in the game. All players will also need a hockey jersey and socks for the evaluations for house league. If you cannot supply these, please contact FFMHA and we will assist you. Please follow the link below or click on the registration tab above. You may need to search Fort Frances Minor Hockey as the association or it may auto populate if you are a previous registrant. Also AA tryout fees must be paid online with registration as no payments will be accepted at tryout camps. FFMHA 2018-2019 registration will open on Friday July 20/2018. A link will be provided on both the website and Facebook page. We have had a slight increase in fees due to increases in HNO player fees and insurance, ice rental and officiating costs. Registrations completed on or after October 1/2018 will be subject to a $50 late fee charge and NO registrations will be accepted after October 14/ 2018 unless approved by the FFMHA Board of Directors. Please be advised that players will NOT be allowed onto the ice until registration and payment is completed. Thank you for your understanding. ATTENTION: Call for house league and AA coaches for the 2018/19 season as well as convenors for each division - 6 in total. Please note May 18/2018 deadline for applications. Please submit your coaching qualifications, experience and philosophy in writing by the deadline. All coaches require the online respect in sport or speak out clinic certification. Coaches must confirm with FFMHA that they have the level of certification needed to coach in a particular division. The FFMHA board thanks all applicants in advance as these are crucial roles to the success of our hockey program. Please find the links below for the upcoming Hockey Northwestern Ontario under 15 program of excellence camp. Dates are August 17-19/2018 in Thunder Bay. Please notice direct links for the position in which you wish to register your player. To The Humboldt Bronco Hockey Team, Family and Community, Please Know that we are keeping you in our thoughts and Prayers . Please note if you are a coach with the Respect in Sport, than the other parent/spouse must take the Parent Respect in Sport. If you the information you are looking for is not on the "Home Page" please go to the "News Page" section to see if the information you require has been added to this area of the website. The "Home Page" will be used only for the initial information and updates as they become available and then moved to the "News Page".